I am as passionate about knitting and designing as I am creating gorgeous new colourways in the dye-pot. When inspiration struck I knew I had to cast on with medieval Lyncolne Grene, in the superbly soft Falkland merino lace. Wollaton is going to be a cosy, yet stylish shawl to wrap-up in on those cool Summer evenings in Sherwood. 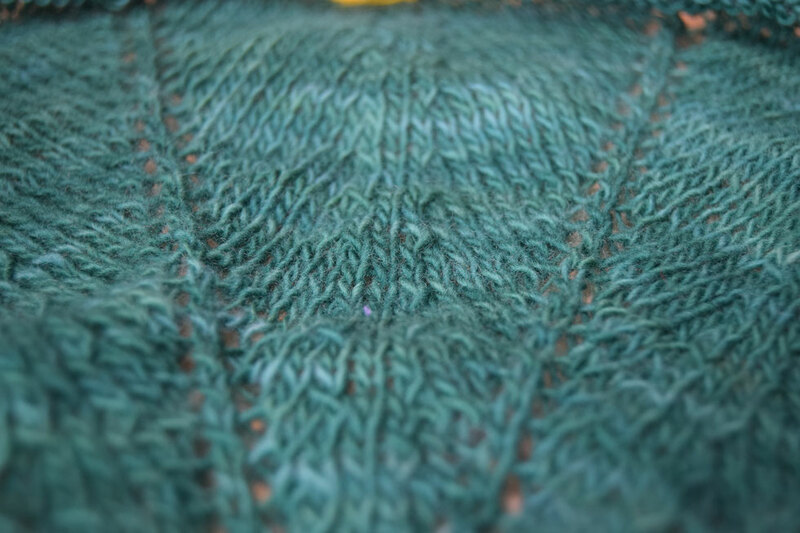 It is worked from the centre top down and will radiate to a lace border. 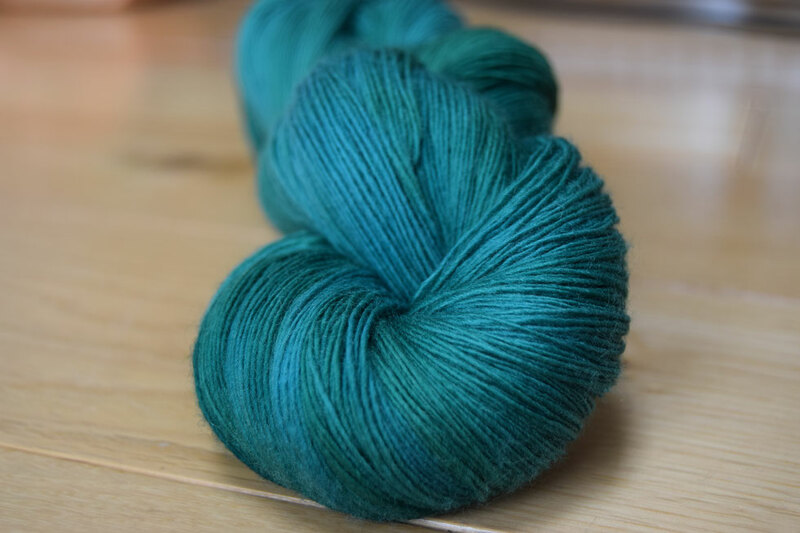 I am just loving knitting this colourway with all its beautiful hues, subtly ranging from emeralds through to bluey greens.